Mapbis offers proven, scalable and powerful integrated smart grid solutions for public services. The products were distributed to dozens of companies across Europe. The systems are easily integrated with existing ERP, CRM, EAM, CCB and FWM systems. We help companies to increase network efficiency and reduce operating costs with minimal effort. PowernetMaestro; is an application which enables electricity distribution networks to be managed in a rule-based way. Data entry is based on predefined rules. Diverse types of data (physical network, customer addresses and billing, SCADA monitors) are combined seamlessly and displayed as layers on a map that the user can customize. Data are subject to approval before inclusion in the database, and are continuously updated. Thematic maps, analyses and reports are easy to generate. PowernetMaestro enables the user to find and make the best returns on investment. PowernetMaestro Desktop, Web and Field applications are being used. Integration was achieved for the customer information system, call center system and SAP-PM. PowernetMaestro Desktop is being used. Integration has been achieved for the customer information system, call center system, SCADA system and automatic meter reading system. PowernetMaestro Desktop, Web and Field applications are being used. SCADA integration has been achieved. With a navigation system, integration has been achieved for subscribers and the network. PowernetMaestro Desktop and Web applications are being used. PowernetMaestro Desktop is being used. Aras Electric Distribution company uses PowernetMaestro Desktop application. Power network data collection , data entry and topology building is included in the project. Smart network data collection is being performed in the field. In 7 provinces, data on electricity poles (low and medium voltage), Street Lights, low and medium voltage, building lines, and meters (subscribers) are being collected. All subscribers are mapped according to their postal addresses and electronic addresses. Secondary, substation name, feeder lines, poles and electrical distribution box contains the numbers and also subscribers of satellite images was carried out to analyze the leakage losses without going to field on the map. PowernetMaestro Desktop and Web applications are being used. From Abone.net (previous database of subscribers) and addresses obtained by field work, a unified SAP-ISU database has been created.With SAP-ISU, 100% address and subscriber integration has been achieved. Data entry is based on predefined rules. In case of emergency, users can easily see which valves to close. Managers can see the big picture of their network’s inventory in terms of pipe characteristics and fittings. The customer relations department can see which buildings are served, and which will be served next year. BursaGAZ has a completely integrated IT system (GIS, SCADA, SAP, FM, etc). The data in the system are live data, making it possible to analyse the ongoing system status for emergency failures, valve operations, customers affected, and enterprise resource planning. 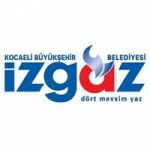 Kayserigaz, the sole provider of natural gas services in the province of Kayseri since 2004, attracted the attention of EWE AG and was acquired by that company in 2007. In 2008 Kayserigaz began to use Mapbis’ GIS with customer relations management. 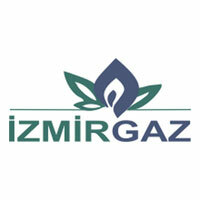 In Çorumgaz, Kargaz ve Sürmeligaz INC. within The CEDAS Group, it was developed CEDAS Natural Gas Information and Management System as a GIS based software. This system associates spatial information with all network infrastructure data of the verbal information in the digital environment belongs to natural gas infrastructure. it is the system which map-based information in a central database, subscriber, network infrastructure, maintenance, etc. matched with other systems such as an integrated structure between the information is collected, analysed, delivered, questioned. 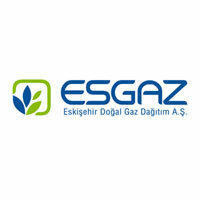 Esgaz aims natural gas infrastructure investments and business activities and subscription transactions related to these activities , demand and production management system, emergency plans , … etc . To present data collected on several interrelated subsystems as map-based in integrity and in order to reach easily to the report in the specified format. For this purpose, used GIS application developed by Mapbis, in accordance with the needs and demands arise is renewed day by day. HydronetMaestro is a ready-to-use GIS software environment that simplifies the management of water and wastewater infrastructure. HydronetMaestro is GIS-based, so all data are digitally integrated for easier monitoring: subscriber information, network status, and network inventory. CC&B, FWM, EAS, SCADA, O&M , Integrations are done in database and service level. So the managers, engneers, operators get best benefit from their invsestments. For each subscriber in the customer information system, a location in the real world is known. This knowledge effectively guides procedures such as meter installation/removal and network maintenance, and defines exactly which subscribers are affected. Also, water consumption and projected need can be calculated and reported by location. ASKI, the water distribution authority for Ankara, had more than 4000 digital as-is maps of the city, at 1/1000 scale in Microstation DGN format. After converting these files to MapInfo format, Mapbis integrated them and developed client based and web based applications for them. The resulting system was able to track, via Oracle RDBMS, all the pipes for clean water, waste-water and storm water, and all related materials, stored at and deployed from ASKI’s central depot. ASKI now also uses MapXtreme, the intranet/internet environment of MapInfo, to open the applications to all departments within the municipality. Also integrated into the system were ASKI’s water flow monitoring data from their SCADA equipment and software. DESKI, provider of water and wastewater services in Denizli province, was managing the large local network with CAD data and paper maps. In 2013, with Mapbis’ water network management software HydronetMaestro, all network data were transferred into a GIS environment. Physical network and customer address data are updated and maintained through an SQL Server database. As the next project, GIS integration of customer data and customer relations management are planned. KASKI, provider of water and wastewater services to the city of Kayseri, had purchased a software system to manage their network data in shape file format but were unable to use it for web-based updates or for sufficient queries, analyses and reports. In 2014 KASKI switched to Mapbis’ HydronetMaestro for managing their network, using both desktop and web-based applications. In this way, KASKI successfully converted its CAD and .shp data into a form suitable for managing network topology, and developed a powerful, easily usable decision support system.